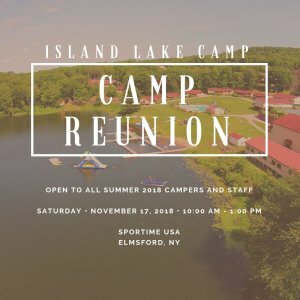 We are so EXCITED to see many of our summer 2018 campers at our reunion this upcoming Saturday, November 17th at Sportime USA. Please see the flyer below for details. If you need directions, you can find them in any of our post-summer newsletters: ILC Newsletters ILCUTHERE!! !